Operations Manager, Niki, has just returned from India, where she has been researching new trekking routes and accommodation for our 2014/15 brochure. After her trek in the Indian Himalaya, Niki took some time to relax on a house boat in Kashmir. This quirky accommodation provides the perfect retreat after your trekking holiday in India. "Lying back in the shikara, being paddled across the serene waters of Dal Lake to my houseboat, I felt like I had truly left behind the rigours of trekking in the Indian Himalaya. With its spacious dining and lounge area with ornate wood-carved tables, cosy bedrooms with en-suite facilities, home-cooked meals, and stunning views out across the lake, a houseboat excursion provides the perfect relaxing contrast to compliment the end of a trek." The Foreign Office has lifted their advice on travel to the city of Srinagar in Kashmir, and now Mountain Kingdoms are pleased to return to the region after a break of over 20 years. 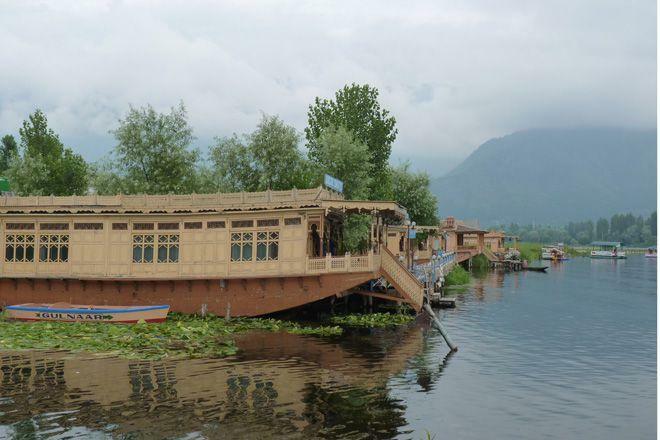 We will introducing a brand new tour to the region - Rajasthan and Kashmir Explorer - very soon which will include time on the wonderfully relaxing houseboats of Kashmir.